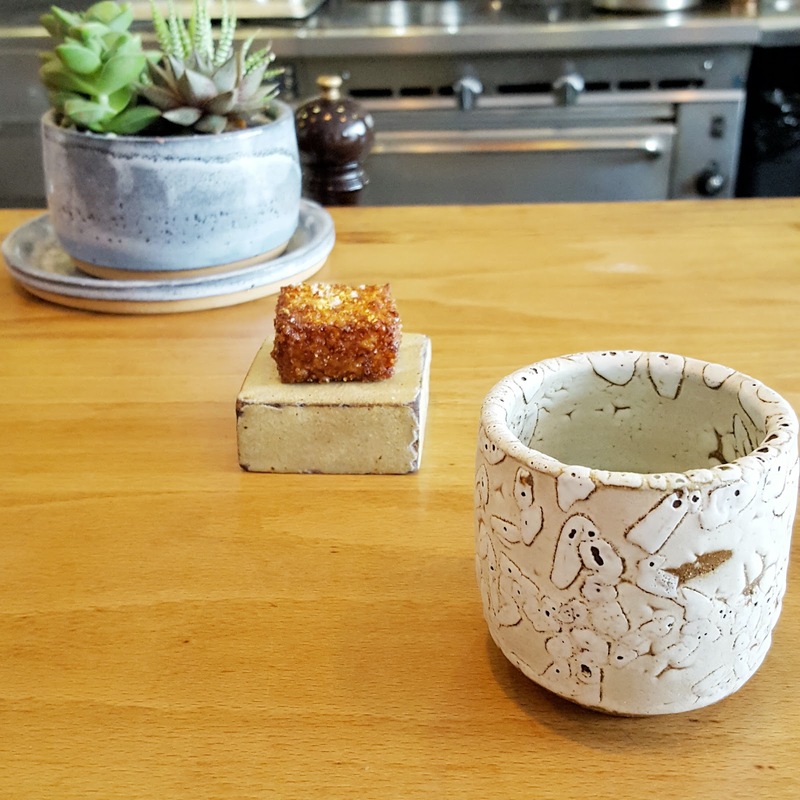 I'm very excited to start and to share a weekly food diary because as a blogger I've come to embrace the business of oversharing and because aside from my passion for fashion, I've always lusted after good food. Bon Apetit! 2pm: I have a bowl of Raisin Bran (the Trader Joe version is less sugary) with frozen berries and milk. I usually skip breakfast as I'm never hungry until noon or later. Today's lunch was uncharacteristically late because I was still stuffed from the chili cheese fries from the night before. 4pm: Black iced tea at Starbucks and a Harry Hamlin sighting. 7pm: A pizza salad and side of meatballs from Midici Pizza Co in Sherman Oaks. The restaurant is a new fav as it's basically 800 Degrees but with organic ingredients, a doughier crust, and an expanded menu that includes nutella calzone, truffle cheese bread, and burrata three ways. 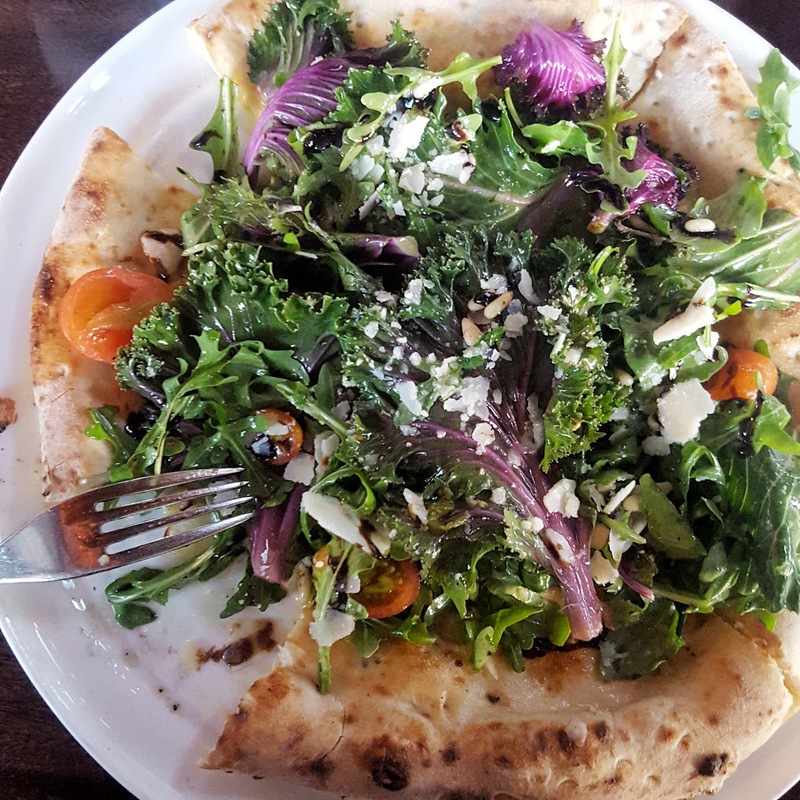 The pizza salad was pizza dough topped off with fresh greens, parmesan, and pine nuts. So satisfying! 10pm: Six loquats freshly picked from my parents' backyard. The seasonal low calorie fruit is a mainstay in Asian countries and provides a good source of fiber and Vitamin A. 12pm: Cheese and fruit spread from Whole Foods. I pair the aged Manchego cheese with a granny smith apple and whole wheat panzanella crackers. For dessert, I have half of a taro cream cake slice from 85 C and wash it down with a small glass of nonfat milk. I'm trying to up my protein intake by working more dairy into my diet as I can go for days without eating meat. 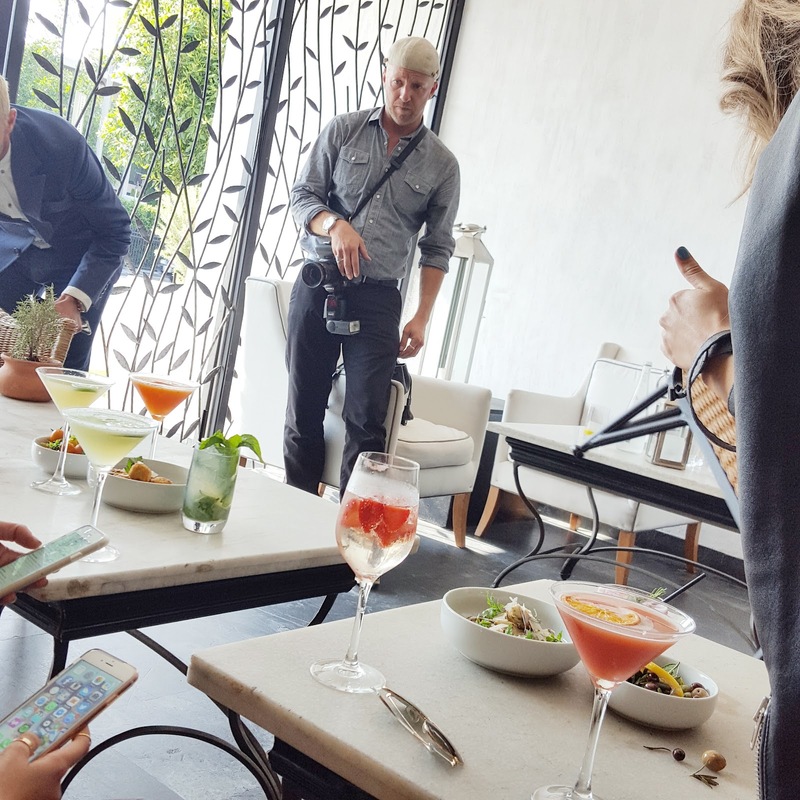 4pm: A photo shoot at Fig & Olive to create imagery for their summer apertivo/happy hour menu meant nibbling on the freshest heirloom tomatoes, a bite or two of their burrata crostini, and maybe even half a slice of their new butternut squash flatbread. I mean, I had to make the photos come to life! 6pm: M surprised me with dinner at Trois Mec. We'd been meaning to go for years and this was definitely a meal worth waiting for. I kind of geeked out over seeing Chef Ludo. Throughout our two hour dinner, I intently observed his every move whispering play by plays to M. He alternates from pensively standing in the middle of the open kitchen to rummaging for items in the walk-in fridge. His team is a well-oiled machine which explains why he didn't have much to do. Dinner commenced with an assortment of snacks including a really yummy fried tapioca concoction. We moved on to the courses with the first being a delicious bowl of big eye tuna and fresh berries swimming in a sweet and tart soup. The second was two pieces of asparagus with a heavy cream sauce. I'm not a fan of cream sauce and proceed to give M my portion. 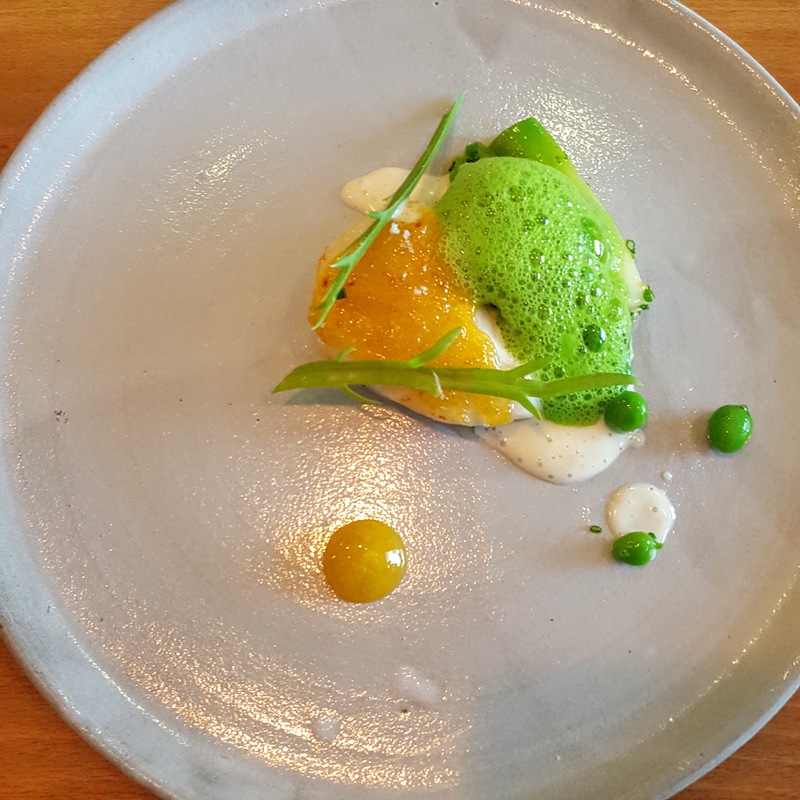 Then it was a tender and lightly flavored black cod topped with a sugar pea foam personally prepared by Chef Ludo. Fourth course was short ribs lighted sauced with Sriracha flavored ratatouille. 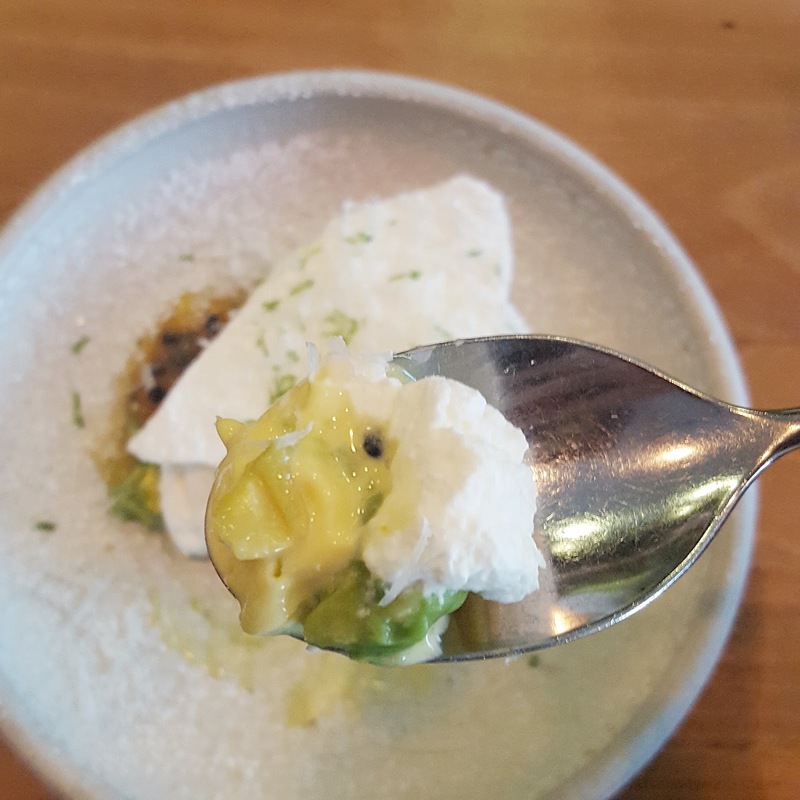 For dessert, we had an avocado puree layered with ginger ice cream. It was one of the most inventive desserts I've ever had. Suffice to say, by the end of dinner, I was heavy in food coma and my belt was ready to call it quits. 12pm: Granny Smith apple en route to my lunch meeting. 1pm: My meeting's in K-Town which means Korean BBQ! I had some bulgogi, two pieces of short ribs, a bowl of rice, assorted ban chan, and refreshing cold noodles. 3pm: Iced tea with a splash of lemonade at It's BobaTime for a kick of caffeine while I worked the afternoon away. 7pm: I meet up with a friend in Downtown LA and we catch up over coconut & prawn salad and a side of fries at The Local Chapter inside the Ace Hotel. Jeffrey Goldblum is also enjoying dinner at the restaurant. 12pm: Raisin Brans with frozen berries and almond milk. 2pm: Health-Ade Kombucha. 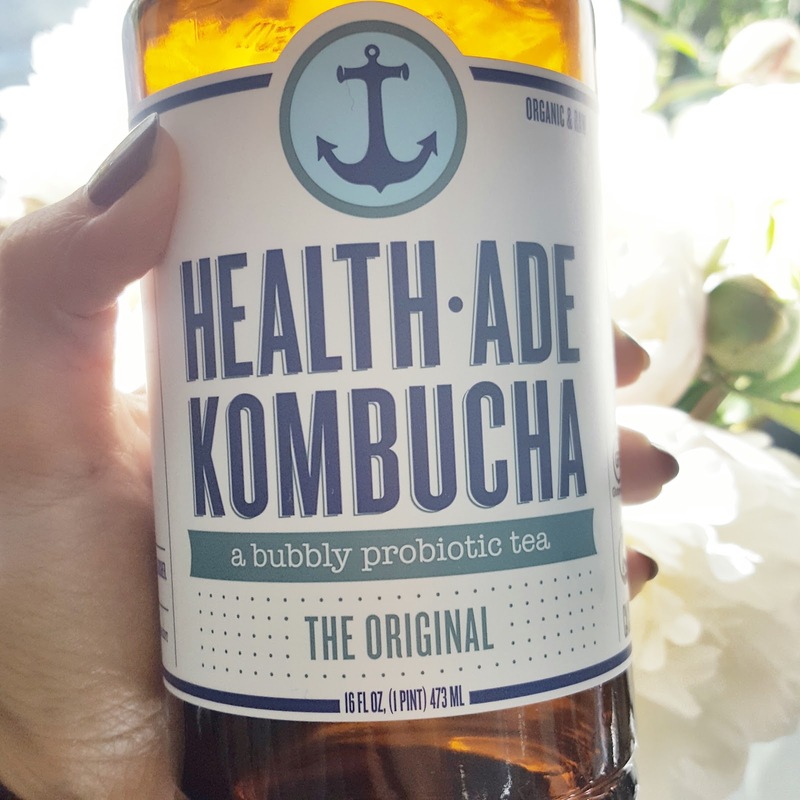 When I was on my kombucha kick, I must have sampled over 10 different brands and kept going back to Health-Ade because it's simply the best. 6pm: Two pieces of Mrs. Field's cookies at the NYX cosmetics event that reminded me of my mall rat days. It's basically my version of having grandma's cookies. I used to love having dessert before dinner but I must be old now because I feel a little nauseous after the cookies. 8:30pm: After coming home from the Carolina Herrera Bridal Trunk Show, I'm wiped and starving! I heat up my Trader Joe's porcini mushroom lasagna, prepare a cheese plate, and plop down on the couch to eat and catch up on The Middle. 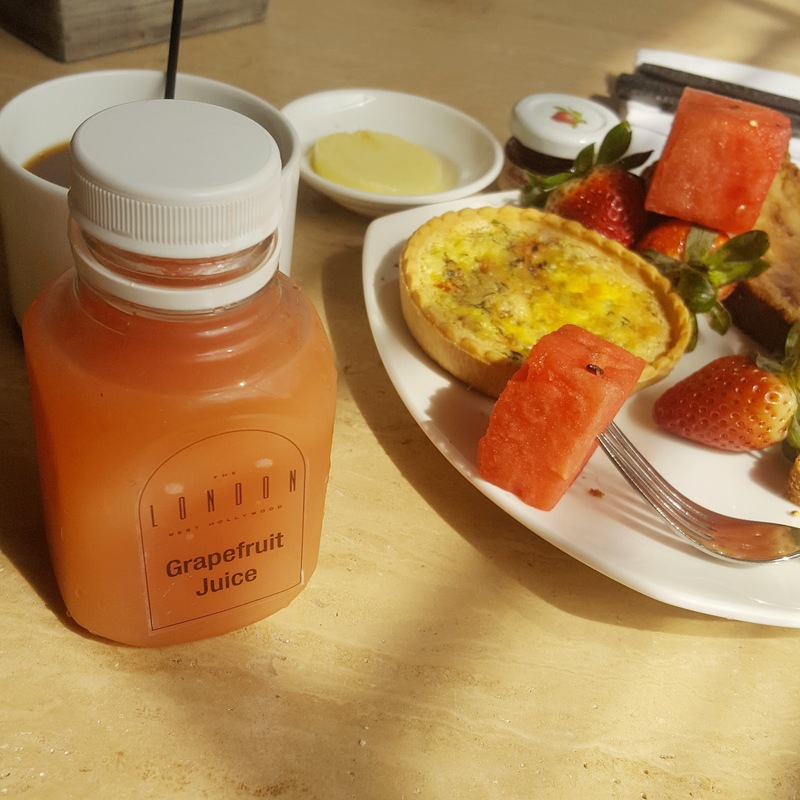 9:30am: At a breakfast event with Glamsquad at The London West Hollywood, I force down a small cup of coffee, few sips of grapefruit juice, a slice of banana bread, and a few pieces of watermelon. 12pm: I follow M to Santa Monica and we have lunch together at the new Google office. The salad bar is amazing! My custom tossed salad of gem lettuce, spinach, soba noodles, edamame, shredded carrots, mushrooms, slivered almonds, and tofu is the perfect wholesome lunch. 2pm: White jasmine iced tea at Bulletproof coffee. 7pm: Dinner at Northern Cafe in Westwood, a new Chinese restaurant transplanted from the SGV that's supposed to be very authentic. I'm excited to try it as the next best thing on the westside is ROC and I absolutely HATE that place. For obvious reasons, I'm very picky when it comes to Chinese food. At Northern, the juicy pork dumplings are not very juicy but the filling is on point. The lamb cumin is pretty good but the Shanghai chow mein is flat, tasteless, and I can only eat it with the help of spicy bean sauce. My favorite is the sautéed string beans, lightly flavored but brimming with freshness. There's a long line so I'd probably just come back for takeout. 9pm: I open up a pint of Strauss Cookies n Cream ice cream and wolf down a third of it. 12pm: Razzmatazz from Jamba Juice as I've been craving it for months. It's much sweeter than I remember it to be. M and I split a cheeseburger from The Habit as we run a bunch of house errands. 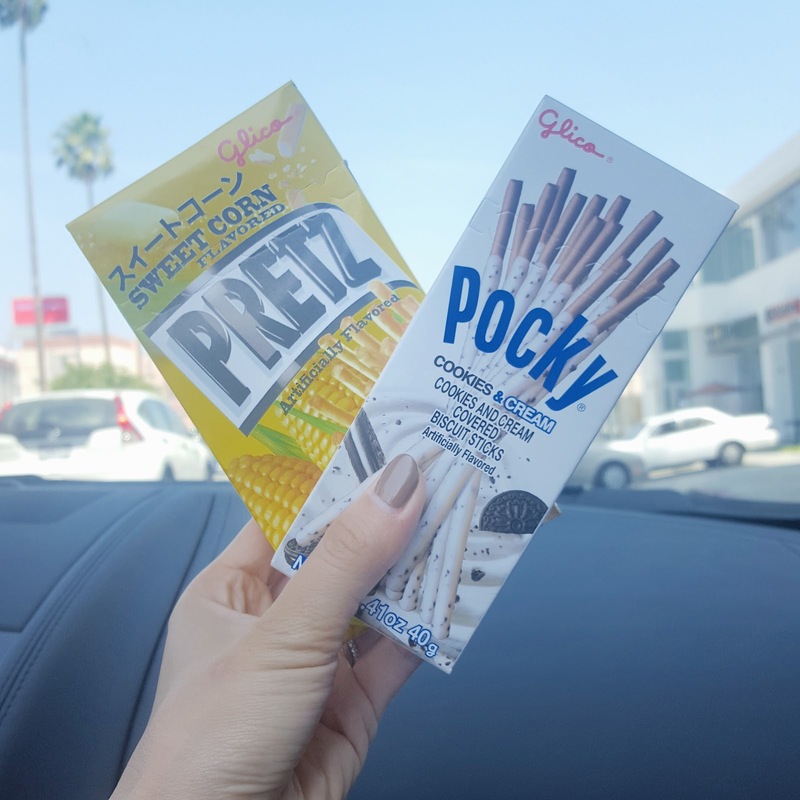 2pm: I spot the Pocky truck so I run down and pick up two free packets of Pocky. Life is sweet! 7pm: We have a quiet dinner at India's Clay Pit, our neighborhood restaurant. It's interesting that in a Bel Air strip mall landlocked by residential neighborhoods the only restaurant is Indian. I didn't think waspy LA types were huge on Indian. I fill my plate with chicken tikka masala, lamb biryani, sage paneer, and garlic naan. The chicken is way too sweet but everything else is delicious! 9pm: I finish another third of the ice cream in bed. So good. 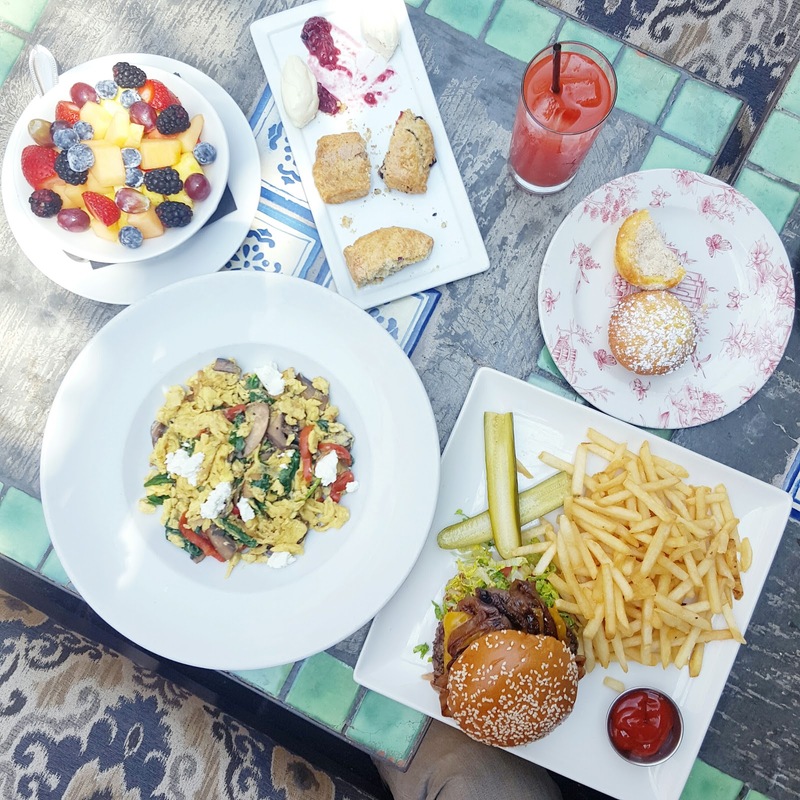 12pm: We have brunch at 41 Ocean Club in Santa Monica to celebrate their inaugural brunch menu. Their three eggs with fresh veggies scramble is super good and the side of fruit is so fresh. I balance out my meal with a plate of pastries. The cheeseburger is not mine. 7pm: I'm not even hungry from the huge lunch but order a black rice with bulgogi and fresh veggies hot stone pot from bibigo. The piping hot aroma works up an appetite and I almost finish the entire thing.